The Philippines’ leading airline, Cebu Pacific (PSE: CEB) today signed a Government Fares Agreement (GFA) with the Procurement Service, an attached agency of the Department of Budget and Management (DBM) headed by Secretary Benjamin E. Diokno. This Procurement Service administers the Philippine Government Electronic Procurement System (PhilGEPS), the agreement that entitles government employees discounted fares on official business trips. The DBM Procurement Service, through PhilGEPS, intends to centralize the air ticket purchase of government agencies, which is noted as one of the most needed items in the government’s procurement operations. “With this partnership, government offices can purchase airline tickets faster and easier, as CEB is now part of their system of suppliers. We are pleased to contribute to this initiative, making air travel more convenient and accessible to our workforce in the government. We are looking forward to flying more government employees as this will also cultivate financial and economic growth of the different regions and provinces in the Philippines,” said Lance Gokongwei, President and CEO of Cebu Pacific. “This agreement promotes fair and open competition among the major airlines towards the best value for money for government agencies,” said DBM Sec. Benjamin Diokno. “This is a huge step into our goal of getting the highest value for the hard-earned money of our Filipino taxpayers,” he added. 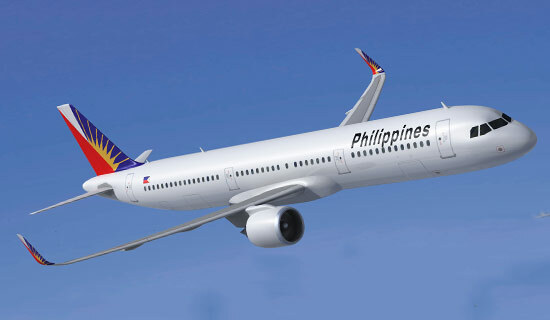 Philippine Airlines will use 199 seater A321 for CEB-SIN flight. Starting 16 December, the country’s flag carrier Philippine Airlines will fly to Singapore from Cebu. PAL also announced that it will launch Cebu-Caticlan-Clark on the same day. PR517, CEB-SIN, will be four times/week (Mon-Wed-Fri-Sun) departing CEB at 2200H and will arrive in SIN at 0145H the following day. PR 518, SIN-CEB, departs SIN at 0245H and will arrive in CEB at 0640H. PAL currently flies to Nagoya, Narita, Los Angeles, Osaka and Incheon from Cebu. Philippines needs 45 flights a day to hit 1M Chinese tourists goal. The 45 flights needed are set on the premise that the minimum aircraft that to be used is A320, all seats should be taken, and all passengers are Chinese. Caticlan Airport passenger terminal is set to open soon. It will have 12 airbridges to accommodate bigger jets and more passengers. The runway was also extended from 950 meters to 1700 meters enabling it to accommodate A320. For now San Miguel Corporation, owner of Caticlan Airport, said that the construction of the interim terminal will be done by the end of the year. Philippine Airlines (PAL) President and COO Jaime Bautista said that a “nose to tail reinvention” of PAL is on-going with the intention of becoming a five star ranked, full service airline by 2020. He said this during an interview at the Association of Asia Pacific Airlines’ 60th Assembly of Presidents. Skytrax ranks PAL three stars. In preparation to achieve this goal, PAL is now deviating from the low cost carrier image that was mapped out by the previous airline owner San Miguel Corporation. It has started re-configuring the mono-class aircraft ordered by the previous administration with three class lay-out: Business Class, Premium Economy Class and Regular Economy Class equipped with personalized inflight entertainment system per seat. Fleet expansion saw the delivery of a brand new Boeing 777 this month and another one is expected by December. Five Airbus 321 have been delivered in 2016. By 2017, all Airbus 330 planes will be reconfigured with three classes ensuring uniformity in all PAL’s fleet. After launching the Cebu-Los Angeles service this year, the airline also plans to increase frequencies to LAX and SFO and open routes to Chicago and Texas when it takes delivery of A350 in 2018. Expansion to Europe is on hold, said Bautista. 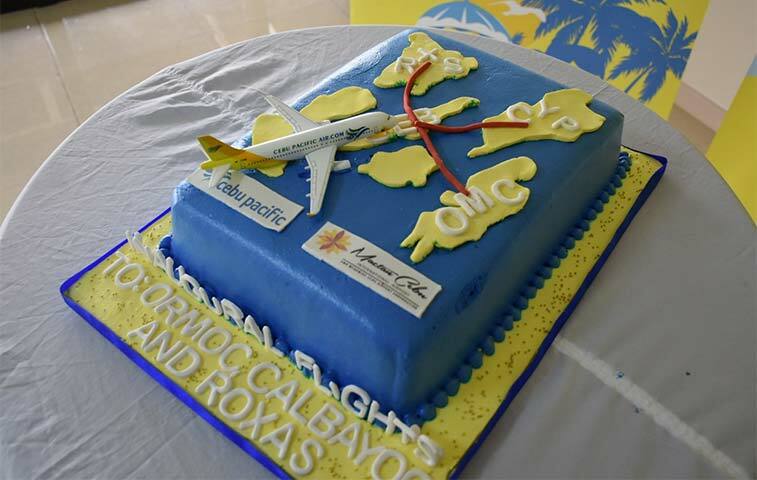 Cebgo, a subsidiary of Cebu Pacific Air, recently mounted daily flights from Cebu to Ormoc and Roxas and four times weekly service to Calbayog. These flights were simultaneously launched last 19 November 2016. Cebgo is a pure ATR 72-500 turbo-prop operator. 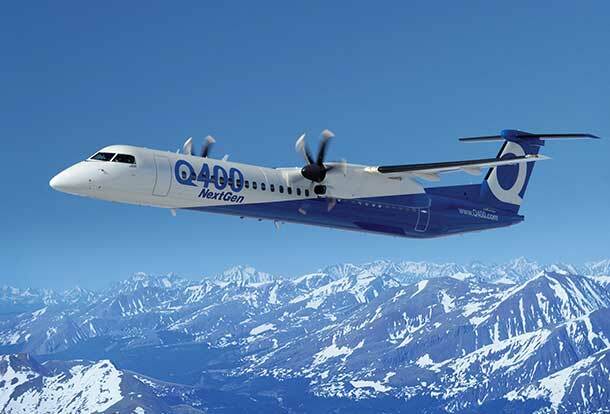 The new Q400 will have 86 seats and will include 10 premium service seats. Bombardier Commercial Aircraft announced today that Philippine Airlines, Inc., flag carrier of the Philippines, has signed a Letter of Intent (LOI) to acquire up to 12 Q400 aircraft. “Integrating the extra-capacity, two-class Q400 aircraft into its operations is the ideal solution for Philippine Airlines as it reshapes its domestic air travel strategy,” said Fred Cromer, President, Bombardier Commercial Aircraft. “With its perfect balance of passenger amenities and operational flexibility, the 86-seat Q400 aircraft will offer Philippine Airlines significant opportunities to differentiate itself in the region’s fiercely competitive environment. “We look forward to working with Philippine Airlines to reach a firm purchase agreement for Q400 aircraft,” added Mr. Cromer. Montreal based International Civil Aviation Organization (ICAO) is set to do an audit on air safety regulations of the Philippines this May, 2017. The audit is done on a regular basis to determine whether a country complies with the global air safety standards set by ICAO. The Civil Aviation Authority of the Philippines (CAAP), the country’s air regulatory agency, is confident that it will pass the ICAO audit next year. Failure to pass the audit can lead to blacklisting by other international aviation jurisdictions like EU or FAA of the United States. The Philippines was removed from EU blacklist only in 2013. CAAP Deputy Director General Manuel Antonio Tamayo said that international consultants who assisted the Philippines in passing the audit are tapped again to assist CAAP. The Manila International Airport Authority (MIAA) today announced the selection of SITA technology as it takes the first steps to transform Ninoy Aquino International Airport (NAIA) to be among the leading airports supporting IATA’s Fast Travel program. The airport is the main international gateway to the Philippines with more than 37 million passengers and serves as a hub for the country’s major carriers. The agreement includes the implementation of the most up-to-date airport common-use technologies at Terminals 1 and 2 for fast check-in and bag drop, along with new bag tracking. SITA’s systems, which are used at the world’s top airports, are set to significantly boost ongoing efforts to improve the passenger experience at NAIA. In this first stage of NAIA’s transformation, SITA will completely overhaul the passenger processing systems in Terminal 1 and 2 putting its next-generation technology SITA AirportConnect Open in place. This will be the platform for NAIA’s next phase of transformation over the coming months, allowing the airport to introduce common-use self-service kiosks, self-bag drop and self-boarding gates. In addition, a new local departure control system (LDCS) will be implemented. This is the first time an LDCS will be available in Manila and it will provide vital back up to the airlines in cases of disruption of their systems. Ed Monreal, General Manager, Manila International Airport Authority, said: “Our aim is to improve the airport experience for passengers at Ninoy Aquino International Airport. SITA’s next-generation technology allows the airlines to offer fast and efficient service in Terminals 1 and 2 and its baggage reconciliation system will also ensure bags are electronically tracked until aircraft loading, reducing passenger inconvenience of mishandled bags. MIAA’s strategic transformation of the two terminals is in line with international standards set by IATA in the Fast Travel program. This program addresses the future of travel and provides more choice and more control for passengers while lowering costs for the industry. It includes self-service options in six areas of a passenger’s airport journey to increase airport efficiency and deliver a better travel experience for the customer. As part of its strategy to manage the balance between continuous passenger flow and stringent security measures, the MIAA is also evaluating systems which allow security agents to quickly and efficiently validate passengers’ paper and mobile bar-coded boarding passes. These will support the transformation and better facilitate the flow of passengers through airport security. Manila’s passengers are set to enjoy a world-class airport experience. They can expect faster check-in, better baggage management and a smoother journey through NAIA’s Terminals 1 and 2 as the new SITA technology is rolled out over the coming months. Sabre Corporation (NASDAQ: SABR), the leading technology provider to the global travel industry, announced today that Philippine Airlines (PAL) will use AirVision Commercial Analytics in order to see daily revenue performance more consistently and accurately. This new solution simplifies and enables consistent decision making across several commercial planning divisions by bringing all the data to one place and in real-time. When airlines collect data, they are challenged with deriving meaningful insights from the data. Commercial Analytics delivers unique and actionable insights that create a competitive advantage and allow airlines to make more informed decisions. In today’s extremely competitive environment, it is critical that all commercial departments draw from the same information. This drives consistent actions across the sales, revenue management, pricing and partnership departments to maximize revenue opportunities. Commercial Analytics will help PAL optimize revenue per passenger instead of the historically used revenue per seat model – a key component of achieving total revenue optimization. This ground-breaking, real-time solution analyzes historical and future revenue trends through integrated air fare, ancillary product, and partner revenue metrics with predictive intelligence. This is the only solution in the market that can measure the impact of passenger behavior, helping PAL become more customer-centric. Commercial Analytics solves business challenges through a combination of intuitive role based user experience, advanced analytics and integrated data through the rest of the Sabre portfolio. It can also integrate with multiple reservation systems making Commercial Analytics a key part of Sabre’s already industry-leading suite of data and analytic solutions – underscoring the company’s commitment to invest in solutions that address the real-time needs of the travel industry.